Nigel Doolin is Head of Trading for Merrion Gold in Ireland, Scottish Bullion and Newcastle Bullion in the UK. Having been a long-term personal investor in precious metals and coming from the business background of running a Vault facility, Nigel was involved in the starting-up of Merrion Gold in 2013. Since then the company has grown to include trading desks in Scotland and mainland UK. With a keen eye and interest in world economics and politics, Nigel and the team at Merrion Gold have rapidly built up a reputation for straight-talking, transparent dealings and educating investors in what is best for them when purchasing or investing in precious metals. The answer to this question stretches back thousands of years! There are Egyptian hieroglyphs from as early as 2600 BC describing gold as a valuable item. Some of the first minted gold coins to be used as currency were found to be from around 600 BC in Asia. The basic reason gold has come to be so valuable must surely derive from the fact that from days past it was an easy way to move around or travel with your wealth. Of course, it could be worn as jewellery, it is hugely resistant to corrosion and it is (relatively) light. Today the world usage and consumption of new gold produced is about 50% in jewellery, 40% in investments, and 10% in industry. A lot of the above can be said of silver also, except the world usage and consumption figures are quite different with about 60% of silver being used in industry and teh remainder in jewellery and investment. A little known fact and probably a good way to put the price of gold and silver into perspective is that there is more Silver mined every DAY than there has EVER been gold mined in the history of records! We find on the most part the British tend to move towards investing in gold in times of uncertainty – both political and economic. The Lions share of investors will look at gold as a medium to long-term investment (4-5 years+), with most happy to ride out the dips that usually come at some stage along the way and wait for their investment to top the price they bought at. We have more and more smaller investors getting interested in buying gold and these would tend to be 1-5oz buyers who will buy coins as opposed to bullion. No matter which of these brackets the buyers fall in to they tend to be more educated on the safe-haven value of gold these days. The most difficult coins to fake are the newer coins – the likes of the 2017 Britannia and the Canadian Maple (from 2015 on) – these coins have laser-precission waves on the face of them which are practically impossible to fake. 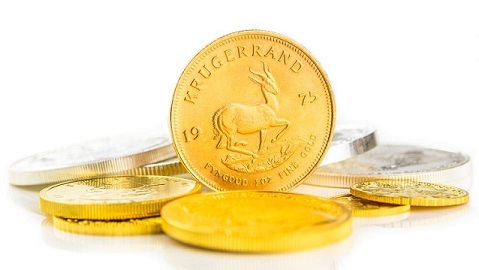 It must be noted however that no coin is completely impossible to fake – this is why here at Merrion Gold we have a 6-level testing set-up in-house. Buyers should always be wary of any dealer who does not have sufficient testing set-ups in their business. We buy and sell physical gold bullion and coins. We only deal with LBMA approved refinery’s so our clients can be sure that all gold we sell is ‘good-delivery’ gold. We also have a 6-level testing set-up at Merrion Gold, where all gold moving through us (in OR out) is fully tested and verified. We do not offer any financial advice as we are not QFA’s – however we will give you the very best precious metals advice that you can get. We also offer safety deposit box rental within the vault (through our sister-company Merrion Vaults) where you can store your precious metals and/or any other valuables you may have. We can transact with any client anywhere around the world – however when you purchase from us you must collect from one of our vaults. We have vaults currently in Ireland, Scotland and UK. We do not ship to anywhere except to our vaults. If the client cannot make it straightaway for their gold collection, we will securely hold their purchase for them in our company safety deposit box within our vault for up to 30 days at no extra cost.